Here at Modern Dental, our West Orange dentist prides himself in providing our patients with the highest quality dental care. We value our patients’ health as paramount. Our dental staff understands your concerns and anxieties, and enjoys educating our patients and keeping them informed and at ease about their treatments and procedures at all times. Our dental office uses state-of-the-art equipment and technology, and the strictest sterilization techniques. We strive to make each dental appointment pleasant and stress-free; serving the West Orange community to the best of our abilities is always our number one priority. Our West Orange dentist offers comprehensive dental care to our patients ranging from general, preventive, restorative and cosmetic dentistry. From a thorough initial exam, to treating cavities and preventing them with fluoride and sealant treatments, to teeth whitening and dental crowns and implants, having a beautiful smile isn’t only about the aesthetics; maintaining dental health and hygiene is essential to one’s overall well-being. Dr. David Gamache (Owner) is highly regarded for his compassionate service and fine quality care. 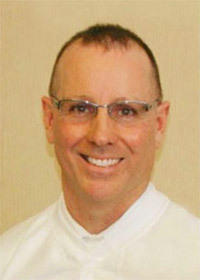 He graduated from Creighton University in 1981 with a Bachelor of Science in Pharmacy and in 1986 from the University of Nebraska as a Doctor of Dental Surgery. Dr. Gamache has established three successful state of the art dental offices in which he and his staff have been providing excellent care for over 23 years. He is committed to the highest standards of sterilization and patient satisfaction. In addition, Dr. Gamache served as a Commander in the U.S. Navy, providing dental care for the U.S. Marine Corp and is a veteran of 2003 Operation Iraqi Freedom. He has a wide range of knowledge and experience in the field of dental health, and we are excited for you to meet him. Make an appointment with our West Orange dentist by calling, (973) 512-4328, today! This entry was posted in West Orange and tagged 07052, Dental Exam, Dental Office, Dentist, Dentistry, Emergency Dentist, Toothache, West Orange on September 19, 2017 by pjdhanoa.